Bug fix for missing updates. 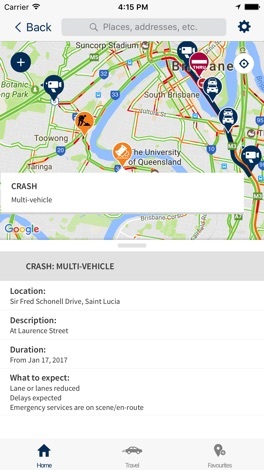 QLDTraffic is the official source of live traffic and travel information from the Queensland Government. 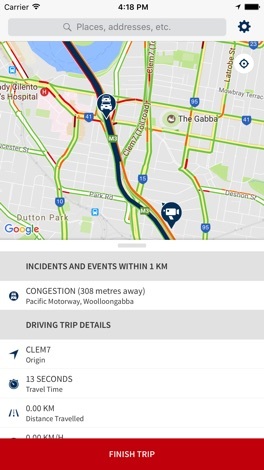 It lets you check traffic conditions and plan your journey before you drive. 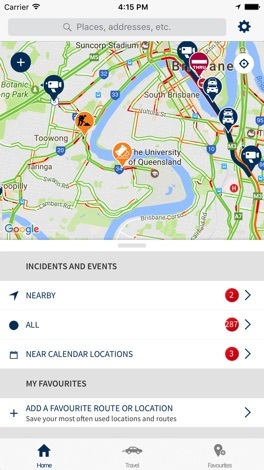 Managed by the Department of Transport and Main Roads, QLDTraffic provides information on road conditions throughout Queensland, including crashes and hazards, road closures and restrictions, roadworks and special events. 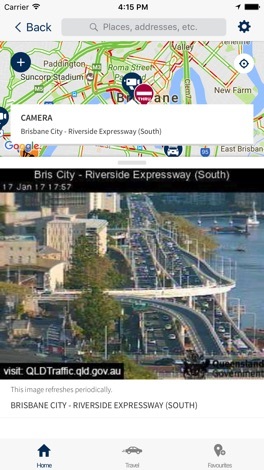 The app also provides access to web cameras that relay near real-time traffic imagery. 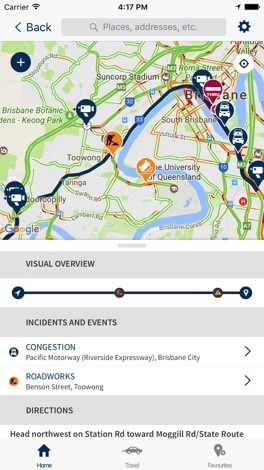 Add your favourite routes to the app, like the trip to the office or a car journey to school, and QLDTraffic will inform you of traffic issues on the way. It’ll even send you personalised push notifications if something happens on your favourite routes, so that you’ll know before you go. o Travel mode includes audio announcements, so you can continue to pay attention to the road.